The AFL has partnered with AFL Clubs to run football talent and development academies for youth aged 11-15 years of age, which will incorporate the attraction, retention and development of talented players (both male and female), whilst growing participation in underrepresented segments of the community – specifically multicultural and indigenous (MI). This partnership has been formed under the auspices of a Next Generation Academy (NGA). From AFL Victoria’s involvement, the official talent pathway has been reformed. NGA regions have been allocated by the AFL based on a range of factors that, in Victoria, include aligning with existing leagues and Elite Under 18 Competition regions. Collingwood has been allocated Melbourne’s inner eastern metropolitan region that incorporates the majority of YJFL’s region who are aligned with U18 Elite Competition Club the Oakleigh Chargers. The work with the YMA participants will be in the age groups from 12-15 years of age. Within the Under 18 Elite competition and programs, Collingwood will work with the Oakleigh Chargers in the program for ages U16 to U18. YJFL and Collingwood NGA has combined to form the Yarra Magpies Academy (YMA). The YMA will aim to provide the best model for football skill development. Among other things, participants will focus on fundamental skill development, game sense and off-field personal development holistic education such as leadership, nutrition and recovery. 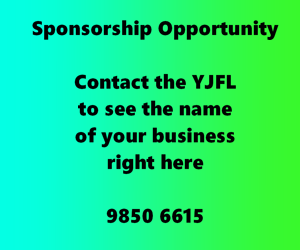 The YMA model will the see the YJFL interleague training program partner with Collingwood NGA for (Under 12-Under15) as well as the current Oakleigh Chargers program at U16s. The key principle is to merge the programs and to provide one key talent development program. The program will focus on the individual development of the players. Eligible players will be selected and elevated to Interleague teams to represent their league in the annual AFL Victoria Metro Championships, interleague, NGA games or representative matches. In the past Yarra JFL has compiled representative squads with the primary goal of competing in the against other leagues either by arrangement (under13), or through the AFL Victoria’s Junior Metro Championship series for under 14 and under 15 aged boys and girls. The major change is the program’s purpose. Whilst between under 13 and Under 15 there will still be games played to pit the best players against other leagues and intra-league games, the primary focus will be on progressive AFL skill and personal development under a defined curriculum that starts at under 13 and progresses through to Under 15, focussing on the skill execution expected for entry into the Under 18 elite competition. This means that all players in the program, regardless if they make the YJFL team, will get ongoing skills development, putting them in the best position for AFL selection at an older age. There are countless players, picked up on AFLor AFLW draft night, that did not make junior representative squads. This new program method ensures ongoing development for all in the program. The partnership joins Collingwood NGA coaches and YJFL coaches under the one Yarra Magpies Academy banner so players will have access to best in class coaching. Players aligned (by residential geography) with other Elite U18 comp regions (eg Northern Knights or Eastern Rangers) should align with the league talent pathway (in YJFL’s case the Yarra Magpies Academy) until Under 15 and align under geography at Under 16 into the U18 Comp Talent region. 2019 is the last year that Under 18 Elite competition regions will have under 15 offerings. Many have already phased them out. From 2020 these clubs will only offer U16-U18 programs. We understand for 2019 this creates overlay and potential confusion. The direction from AFL VIC is the YMA is the official talent pathway for children playing in the Yarra Junior Football league in born 2004-2006. Where possible collaborate with Under 18 Elite Competition club programs to ensure smooth transition to U16s. Collingwood NGA Management submitted participants from Yarra JFL Clubs to be considered for selection. Additionally players who attended the summer development programs , players who played in rep programs (2018 u13/14) or the futures programs(2018 u12) where invited, along with high performers in the league best and fairest, with particular emphasis on the higher grades. Whilst the field days offer input to the process they are not the complete process. Selectors will also place emphasis on evidence of talent over a longer period knowledgeable that player may have had an off day when performing on the field day. Invitations have gone out and we have asked that registrations be complete by 13 Feb. We will then publish the list of those who have accepted nominations and potentially open up for more nominations depending on initial invite take up. Under 15 Boys and Under 14 Boys initial nominations have been sent. Again, in the opinion of clubs there may be some other talent available. We will be publishing to clubs the list of players nominated and will allow an additional 2 players per club to try out at the field day. The final lists will be forthcoming late March. Each age group will have between 70 and 80 players who make the list. Coaches will take inputs from performance rankings and observations on the field days along with other inputs surrounding talent such as rep footy, league and club best and fairest. In the end, the selection with be a best-effort contribution from volunteer coaches who are doing their best they can do, given the limited time to assess and take inputs. They will get the list largely correct. Undoubtedly there will be strong opinion about players who made the list over those who did not. This debate has been a feature of every talent group assembled at every level of sport including football for all time. In the end all you can do is trust the process and accept the decision.